I installed an Internode NBN HFC service in an apartment a few months ago. It comes with a Huawei HG659 router, attached to the NBN standard issue Arris HFC cable modem. I really don’t like that router. Its got some negative characteristics – including it having a DHCP server that can get itself confused and conspire to keep handing out a conflicting IP address on the active network. I also much prefer using Apple Airport Extreme base stations for WiFi networking rather than the built in stuff in routers of that ilk (lets call them ‘low cost and cheerful’) – especially when I’m running multiple WiFi base stations (as is the case in the site concerned). I’ve had great success in another site using Internode NBN via Fixed Wireless by just configuring the PPPoE client into the Airport Extreme and plugging that straight into the incoming connection from the Fixed Wireless NTD. That worked like a charm, and eliminated a similarly ‘cheerful’ router in that circumstance. However this simple approach just didn’t work on the NBN HFC connection – configuring the PPPoE client in the Airport Extreme and plugging it into the Arris HFC cable modem directly lead to no joy. Each NBN ISP has some choice over how the HFC based NBN connection gets deployed to their customers. Some digging turned up the data point that the Internode service delivered via the NBN-Arris HFC modem is implemented as two ethernet VLANs, with VLAN 1 delivering the bundled VoIP fixed line phone service and with the Internet service delivered over VLAN 2. There is no way to configure the use of an upstream VLAN in the Airport Extreme – it expects the PPPoE frames to turn up natively (with no VLAN tagging). Some more digging and the solution emerged, namely to keep the Huawei HG659 in the picture but use it merely as an ethernet VLAN decoder. In that role, its job is so simple that it can do it without losing the plot. Configure the HG659 using its wizard to ‘connect with another modem’. This is what the HG659 uses as its description for bridging the incoming VLAN to the local LAN ports. I had to turn off IPv6 entirely to avoid an ‘IPv6 Relay’ error coming up (Internet tab, Internet Options button, Configure IPv6 drop-down set to ‘Link Local Only’). Turn off ‘Setup over WAN’ to avoid an alert coming up on the Airport Utility and the base station light flashing amber (Base Station Tab, clear the “Allow Setup over WAN’ check box). The point here is to explicitly disable the capacity for the Airport Extreme to be accessed (by the Airport Utility) over the WAN path. That’s definitely something I want disabled. My only issue here is that I’m surprised this checkbox is actually on by default in the first place! One more bit of collateral damage here is that I probably can’t access the free VoIP phone service delivered over HFC VLAN 1 and out via the analog port on the HG659. I don’t care, I wasn’t interested in using it in the first place. It may well be the case that some cunning manual configuration of the HG659 could make that work (too) – but I really don’t care about it – so I just haven’t tried. The one silly thing left out of all of this is that I didn’t get rid of any physical devices in the process, so I have this conga line of three hardware devices between the cable modem wall plate and the user devices in the site – the Arris HFC modem, the HG659 (now as a VLAN 2 decoder box only) and the Airport Extreme (as the site router plus central ethernet switch to some downstream Airport devices). Speed tests are just as good as they were already, with downstream rates testing reliably in the mid 90’s and upstream in the high 30’s – pretty darned good (especially through that crazy hardware conga line) on a 100/40 Internode connection. Importantly the issues I had with the HG659 router and DHCP are gone. The Internode NBN HFC service is in fact deployed on TPG infrastructure, so the above should apply equally to a ‘native’ TPG NBN service too. This also explains why the IPv6 doesn’t work (sniff). A router such as a FritzBox which is capable of VLAN decoding on the WAN port should be able to be used to deliver the Internet service directly via the Arris HFC modem without using the HG650 at all (eliminating one device). Its also possible the FritzBox may be smart enough to support logging in to the voice service via WAN VLAN 1 as well … and that is something to try out another day…! Postscript: There is another approach to the removal of the Huawei device from the critical path that has been pointed out to me on another blog – here. This won’t work with the Airport but it is a way to allow a Fritzbox or a high end Billion or another router with WAN port VLAN support to be used for the Internet path instead of the HG659, leaving the HG659 functional as well – in parallel – to provide the voice port service that is bundled in with the Internode NBN HFC service. The benefit here is for people who do want to use that bundled voice service while also removing the HG659 from the critical path in Internet access terms. While it does need yet more hardware (an ethernet switch) – its a really creative and effective answer that might be very helpful to others to know about! 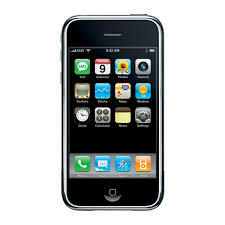 Back in 2007, I was fortunate to be in the audience in San Francisco’s Moscone Center when Steve Jobs stood up and released the first version of the Apple iPhone. That device genuinely raised the bar. It was a watershed in the design and interaction model of a portable computing device. No mobile device company has designed a mobile phone or tablet device since then, without some level of reference to and comparison to the iPhone. Model S is the product of a company lead through the rare talents of another visionary entrepreneur, Elon Musk. When looking at this vehicle, it becomes immediately clear that this product – and its design team – will have a comparable impact in the transport sector over the coming few decades. Its been a long time coming. Back in 2012 I ordered a Tesla Motors Model S, on the day they were announced. I believe that my car was order #69 in the world, and at the time there was no guarantee when – or if – they’d be sold in Australia. A few weeks ago, and around 60,000 Model S vehicles later, my shiny new Pearl White and Carbon Fibre Black P85+ is finally in its home in Adelaide, South Australia. There are a lot of bogus memes – false statements claimed to be statements of truth – that are doing the rounds about the Australian National Broadband Network. In addition, as this classic xdcd cartoon says, it is always the case that… Someone Is WRONG On The Internet. On 4th September 2014 I delivered a talk at the AusNOG 2014 technology conference in Sydney about the NBN called “Rebooting the NBN: (Personal) Reflections on the journey thus far”. I had a nice chat with Garry Barker for an RMIT University Podcast series called “Talking Technology”. We talked (yes, again 🙂 ) about my favourite hot-button items – startups, innovation and investment cycles and electric cars.